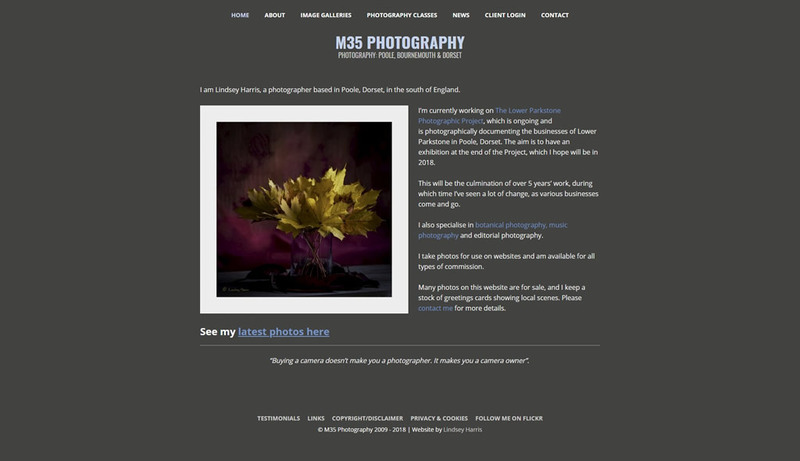 M35 Photography is the personal photography website of Lindsey Harris, owner of M35 Web Design. The photography featured is mainly of the area around Poole, Dorset, but also features some photographs taken in Berkshire. It also includes the ongoing Lower Parkstone Photographic Project. The website was built using WordPress and also has a photography news blog.